Top Rated. 5-Stars. 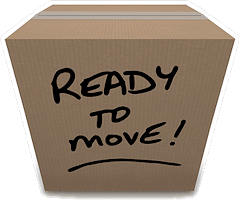 Serving Newport with Professional Moving to or from Coeur d'Alene. Call Today. Free Quotes! Personalized, Five Star Service. Taking a home full of large appliances, furniture, clothing, tools, dishes and family treasures and moving it all to a new location in or from Newport, WA, either near or far, is no simple matter. Just finding it all, in drawers, closets, attics, and basement and garage is a job in itself. Packing, loading, and moving is another. Having a five star local and long distance mover as your helper is the best way to go. 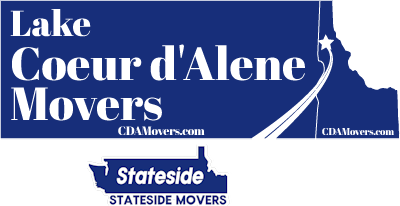 Lake Coeur d'Alene Movers / Stateside Movers LLC has earned its five-star rating through hard work that made the customers happy. Call or text (208) 770-0845 for a free quote today. Newport is a small city of 2,170 residents and is in the Lake Pend Oreille region. Its closeness to Spokane, Northern Idaho, and Canada offers lucky people a chance to enjoy four-season outdoor recreation, awesome scenery and economic opportunities in Spokane. People seeking smaller communities, incredible scenery and unlimited varieties of outdoor opportunities are moving here. Taking everything you own, getting things out of drawers, closets, storage areas and boxing them is labor-intensive, to say the least. Add to this dishes and glassware and family treasures, it can cause huge headaches. We have experts who can be at your side and get it all safely packed, labeled, dishes and glassware clean and ready to use on day one, and clothes from closets and drawers ready to wear. They know how many boxes are needed, padding materials to use and which tape seals the best. They've done it all. Five-star ratings are the highest, so why hire anything less when you move locally or long distance? 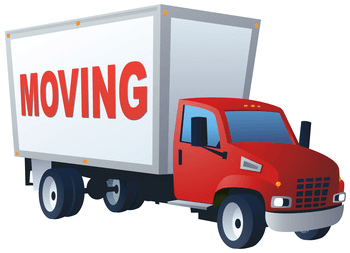 Lake Coeur d'Alene Movers / Stateside Movers LLC have been five- star rated by satisfied customers and nothing succeed like success, especially where your precious belongings are concerned. You worked hard to furnish your home and your possessions are important to you. We will carefully, safely and professionally move your household goods to Newport, Washington with five-star expertise and care.